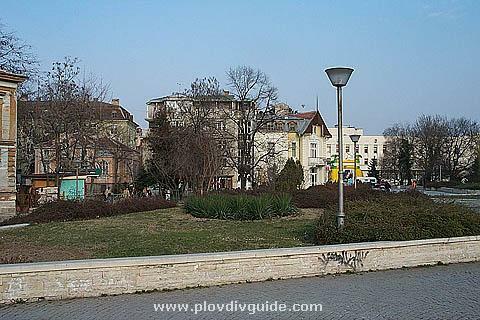 Whether youre a photographer, a landscape artist, or just a romantic person, Plovdivs famous seven hills are great spots of inspiration. 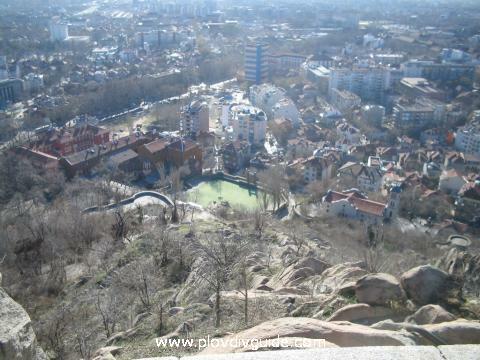 Many of our favourite photos are views taken from the heights of the Plovdiv Hills - and were sharing the best of them with you in this gallery. Looking down from the Nebet Tepe hill at the Sixth of September Boulevard heading towards the Unification Square. 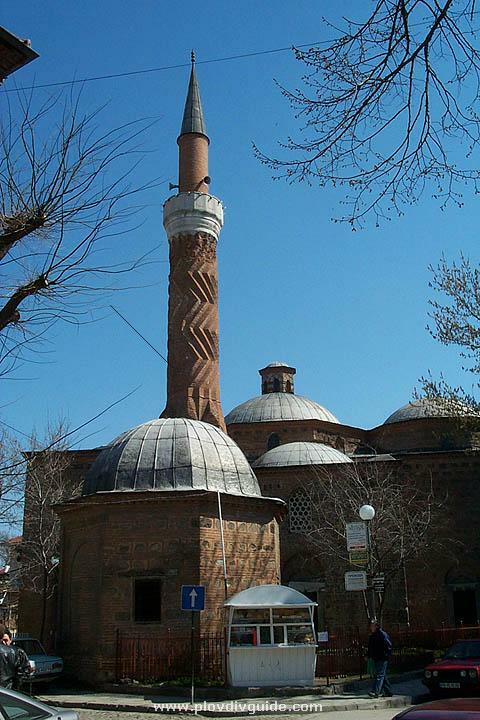 The impressive old Turkish Bath (now turned into an Art Gallery) is at the centre of the photograph. 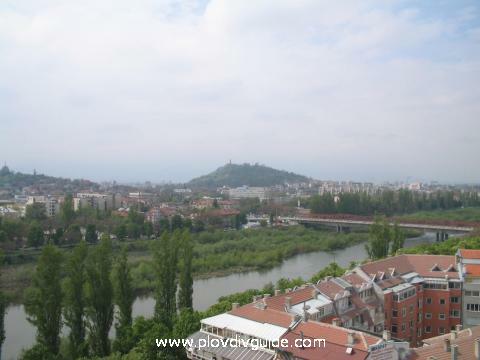 Looking north across the Maritsa River from the very top of the Nebet Tepe hill - you can see the Plovdiv International Fair is on the right of the river bridge and the Maritsa Hotel on the left. The intersection of two major boulevards - the Tsar Boris III Obedinitel and the Sixth of September is at the lower left corner of the photo. 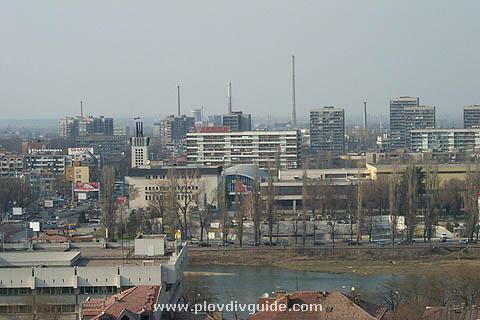 This photo can be nothing else but Plovdiv! 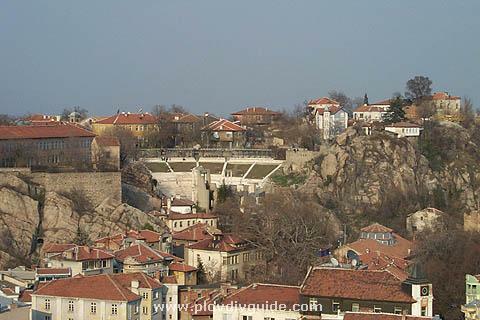 The first time you visit our town you could spot this place right on the very top of the Nebet Tepe. 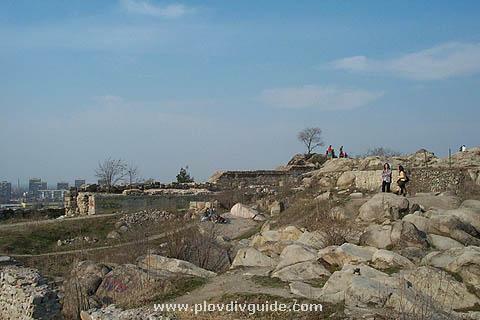 The lonely tree is a landmark, and Plovdivs younger citizens spend many afternoons on these rocks, which are remains of an original Thracian fortress existing thousands of years ago. 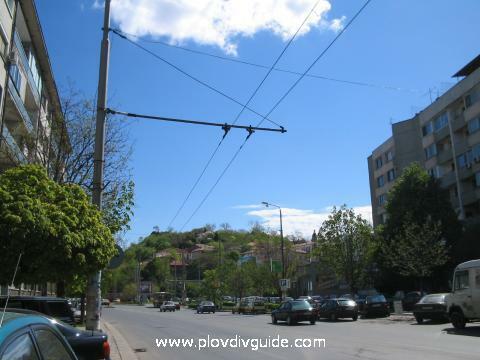 Plovdiv is the name given to the architectural and historical centre created in remote Antiquity on the Three Hills and built in the cource of many centuries. 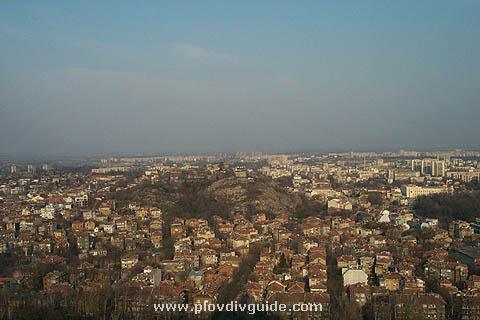 From underneath the Radio & TV tower on the Sahat Tepe hill we are looking across a beautiful portion of Plovdiv - you can see the Philippopolis Ancient Theatre on the Dzhambaz Tepe hill (the most southeast one of the three hills, forming the Trimontium: Dzhambaz, Taxim and Nebet). 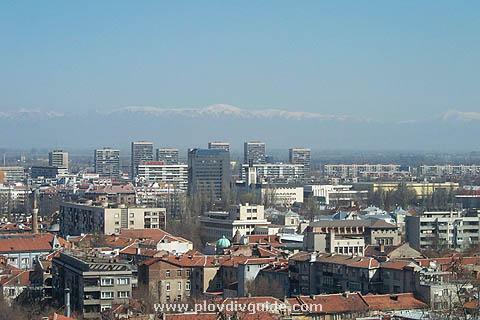 This unusual photo was taken from underneath the Radio & TV tower on the Sahat Tepe hill, looking north towards the Plovdiv International Fair Grounds – you can the Stara Planina Mountain in the background (it look so close due to the camera zoom). 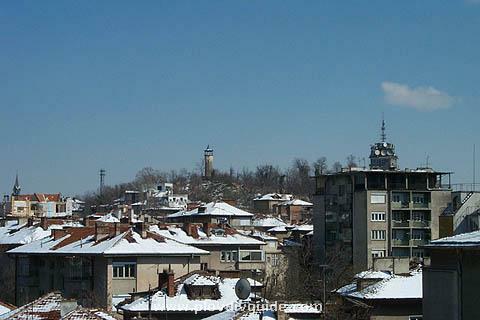 That is the Clock Tower on the Sahat Tepe hill. The clock was built in the year 1227, and the ringing of the bells marked the coming of the hours for many centuries. Unfortunately, the clock stands silent today. 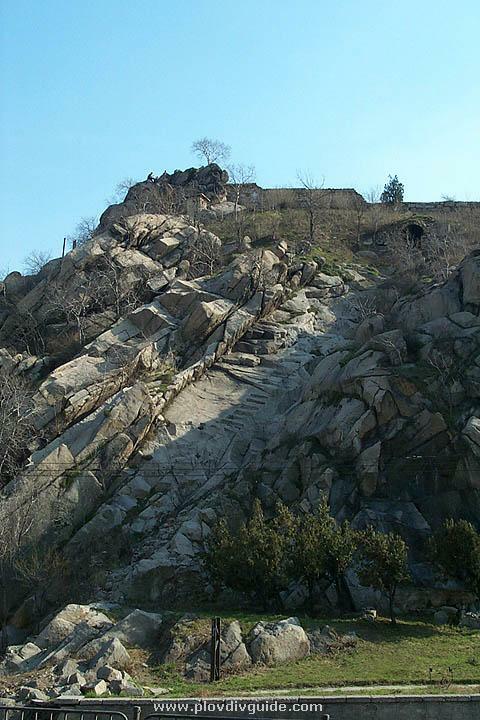 Looking up the Nebet Tepe hill from its foot at the Sixth of September Boulevard (the Maritsa-River-side of the hill). 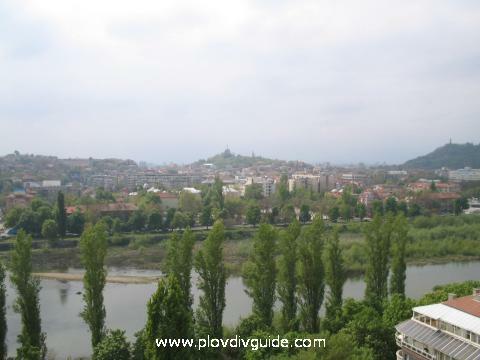 With the Rhodope Mountains in the background, this is a beautiful view to the largest and highest of Plovdivs seven hills - the Dzhendem Tepe hill, as seen from the southern side of the Bunardzhik Tepe hill. 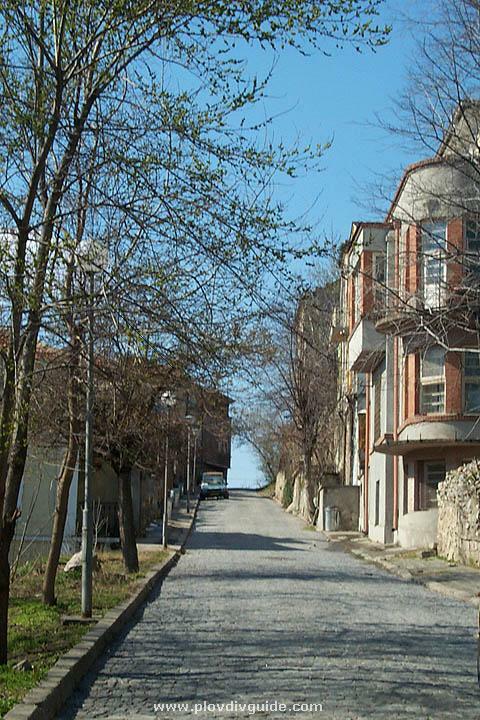 A beautiful street at the Bunardzhik Tepe hill. 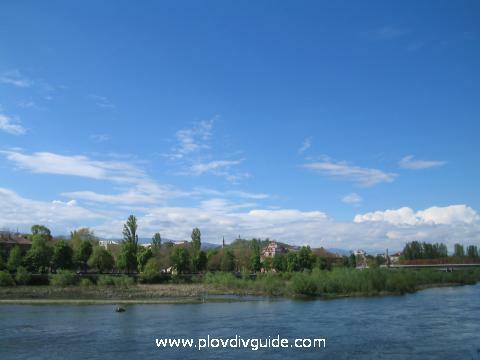 The Maritsa (also known as Hebros, Hebar or Euros throughout the centuries) is the biggest and the deepest river on the Balkans. 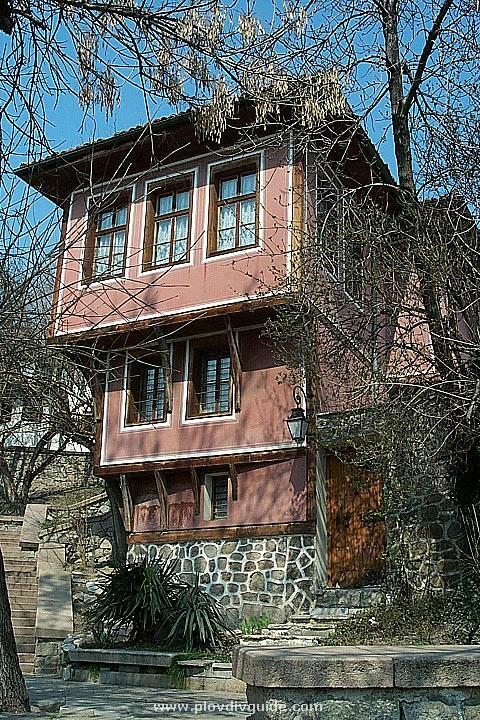 It takes its source from the Rila mountain, and runs into the Aegean Sea. 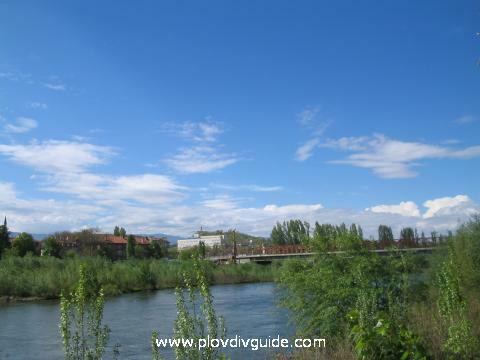 The whole length of the river, that has more than a hundred significant feeders, is 524.6 km.For centuries the river has connected Thrace with the Aegean region. 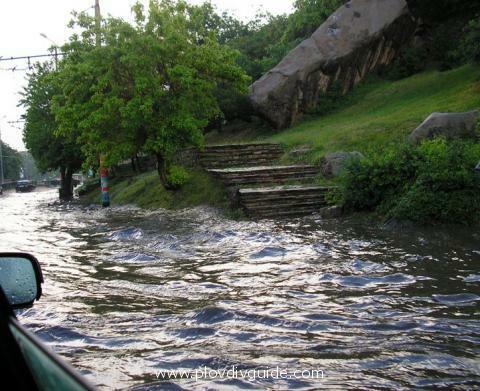 Almost through the whole year it was deep and navigable. People used to sail mainly by rafts.A ship with sails and a mast is depicted on a coin minted in Philippopolis at the time of the Roman emperor Lucius Verus (161-169 A.D.), which indicates a harbour on the river Hebros.The river was navigable right up to the second half of the 19th century. The harbour was situated close to the present island of Adata. A view to the south from the Ancient Theatre, whose construction started during the reign of the Roman emperor Trajan (96-117 AD) somewhere around 114-117, and was finished by his step-son Emperor Hadrian (117-138 AD). 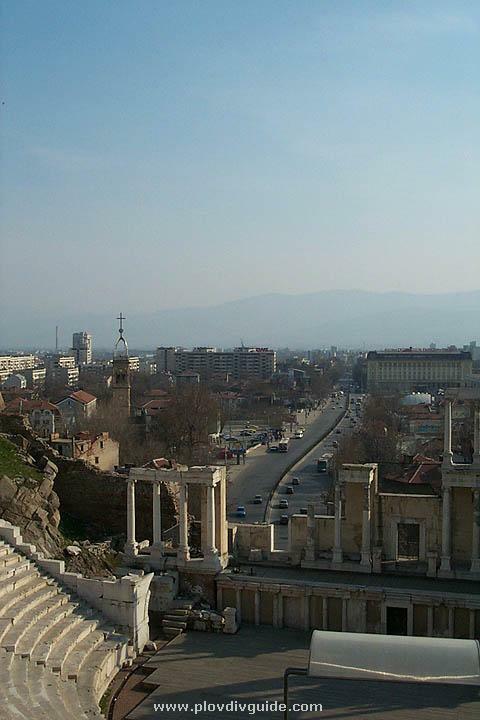 It was destroyed in the 5th c. by Attila, who attacked Philippopolis.Down you can see the Tsar Boris III Obedinitel Boulevard running south, and the Rhodope Mountains stay in the background as the perfect frame. 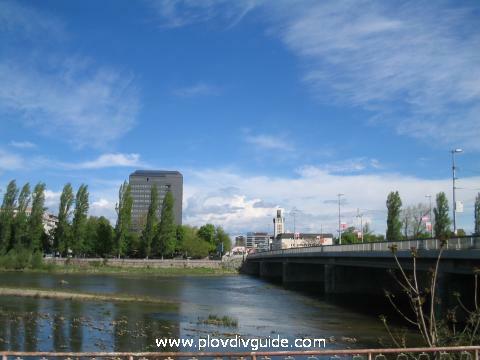 A view to the north - the Plovdiv International Fair Grounds, with the Maritsa River in front. 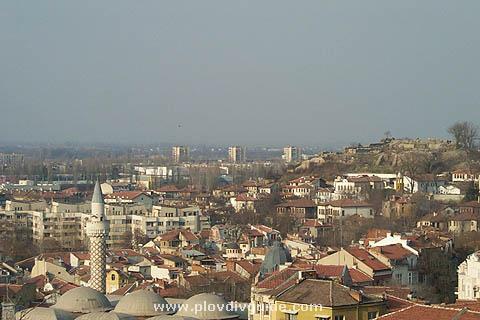 A city view, with the Imaret Mosque in the left corner of the photo. 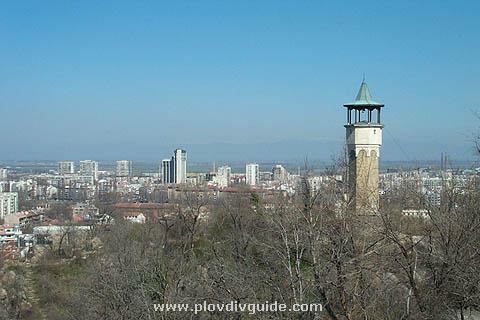 Plovdiv was initially built on the right (the southern) bank of the Maritsa River, around seven separate hills, rising like islands in the vast valley of the river. 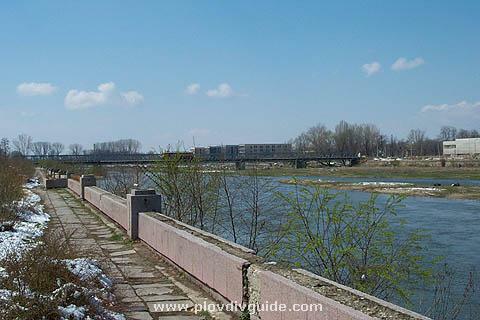 Three of the hills (Nebet, Dzhambaz and Taxim tepe, forming the three-hill group called the Trimontium) lie closely to the river and are connected.The Nebet tepe is the northeast hill, which is the closest to the Maritsa. 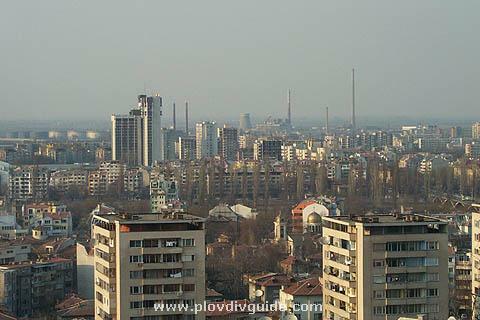 It stands 203 metres above sea level. 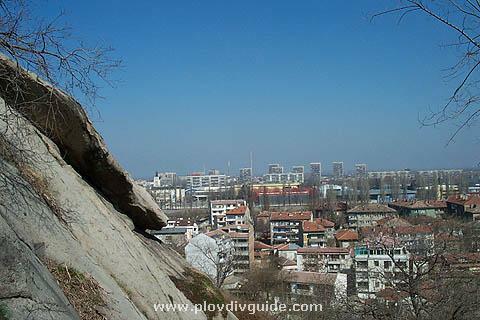 The archaeological excavations from the last decades proved the one-time existence of a Thracian settlement here.In the second half of the 1st millennium B.C., upon the Three Hills (today’s Nebet, Dzhambaz and Taxim tepe hills) a considerable in size Thracian settlement was founded. 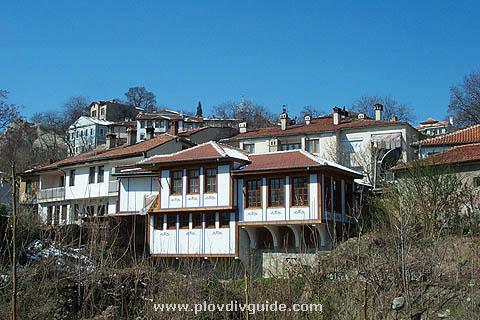 In the 4th century BC it grew up into a town with solid fortified walls, paved streets and sewerage system. 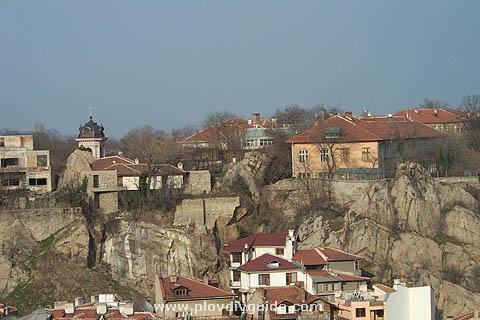 The further growing of that Thracian settlement into a real town was typical for settlement development all over Thrace, and resulted in the building up of a fortified royal centre (the so-called “tursis”), located on the Nebet Tepe hill. 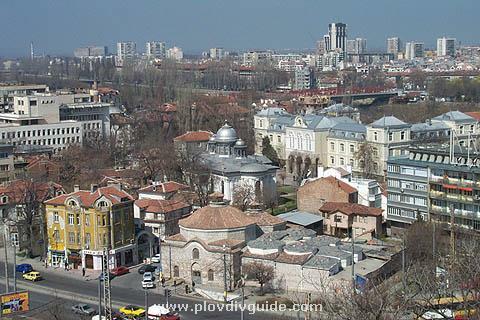 The Old Town part embraces the newly constructed buildings, featuring the same architecture style as the ones standing here for more than two centuries. 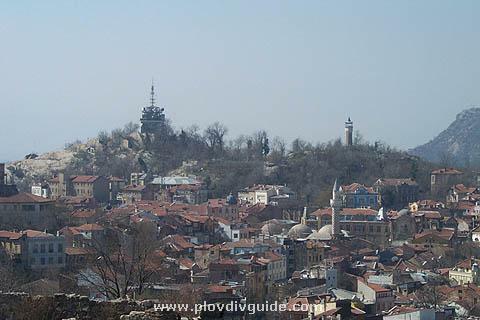 Houses in the centre of Plovdiv - you can see part of the Dzhumaya Mosque on the left, and the bazaar of paintings and artistic crafts surrounding the Roman Stadium, which cuts in two halves the length of the Main Street. 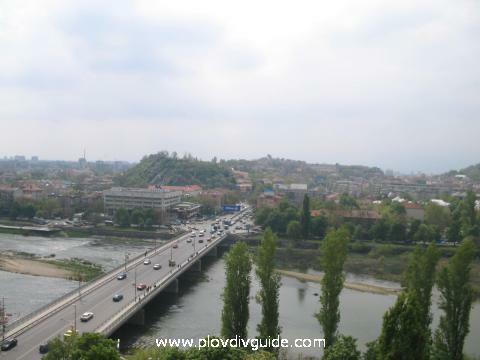 A view to the south - in clear weather you could see the beauty of the Rhodope Mountains. 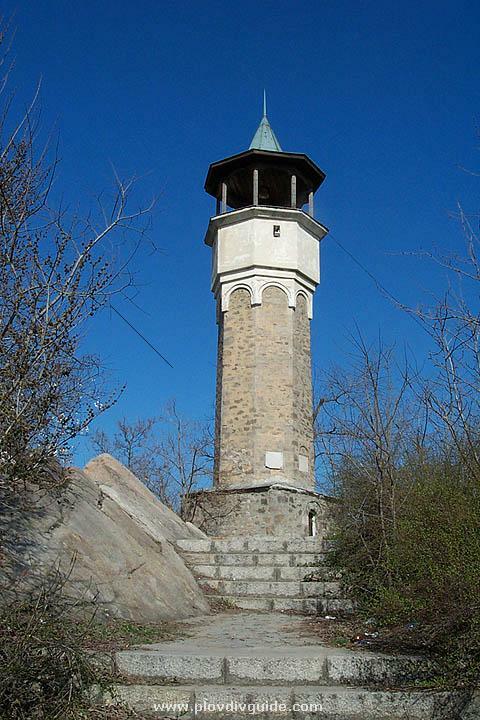 The photo was taken from the top of the Bunardzhik hill, where the Alyosha Monument stands. 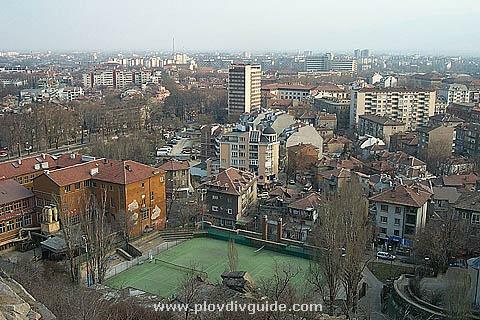 A high look over not-so-sunny Plovdiv. Another high look - you can recognize the tall building in the centre as the Leipzig Hotel. 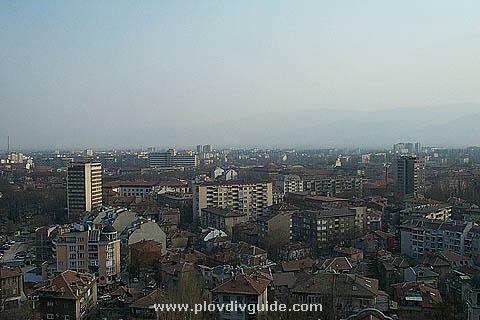 Another angle to look at the Post Office building (the white building in the background) and the central part of Plovdiv. 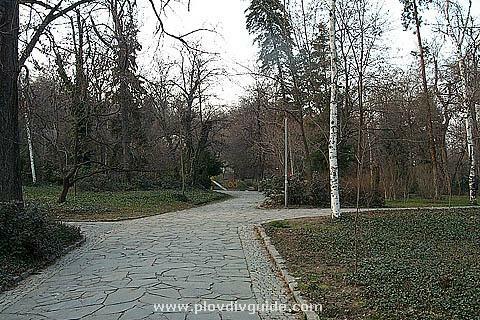 The Tsar Simeons Garden is on the right. 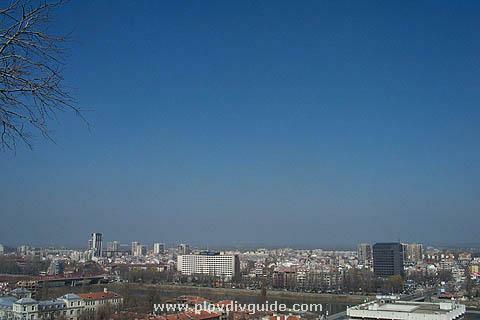 A look to the north - a photo taken from the Nebet Tepe hill. The main entrance to the Ancient Theatre. 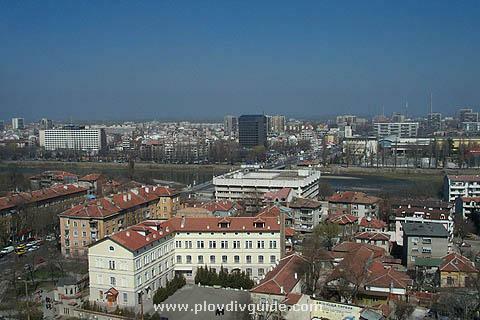 A high look at the north part of Plovdiv - you can recognize the building of the Novotel Plovdiv Hotel, on the left bank of the Maritsa River. 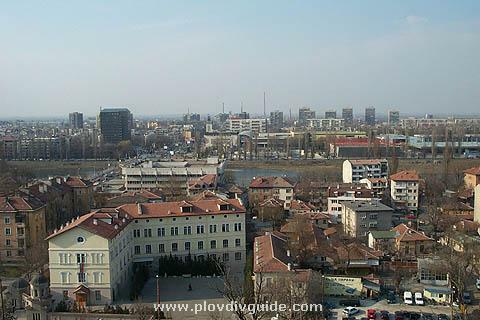 A high look to the north - you can see the white building of the Seminary in the foreground, then the Maritsa River running accross, and the large white building of the Novotel Hotel on the left. 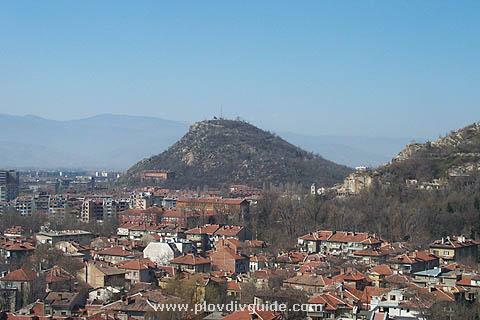 You can see the Sahat Tepe hill, with its Clock Tower, and the Radio & TV Tower. 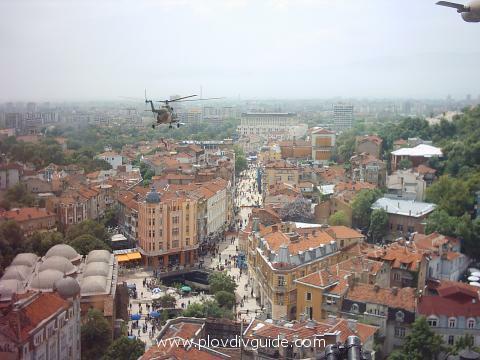 You can feel the magnificent atmosphere of the Old Town. 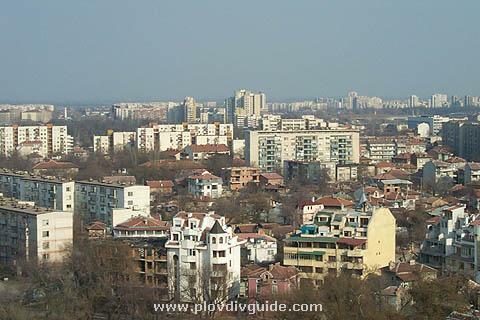 A high look over Plovdiv. 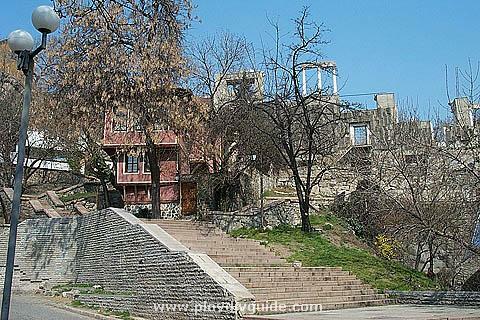 The beautiful blue house (on Dzhambaz Tepe hill) rising up above the Ancient Theatre. 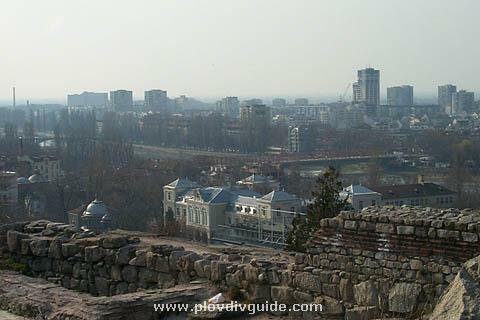 A look to the east, taken from the Bunardzhik Tepe hill. 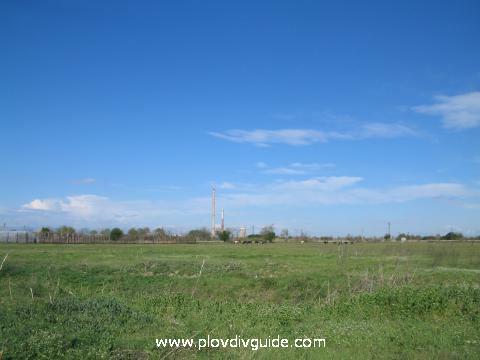 In the distance you can see the Trakia housing complex. 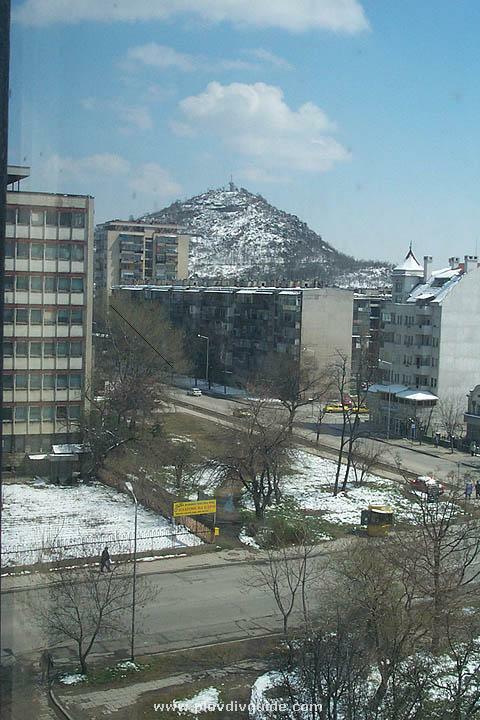 A view to the west - the Sahat Tepe hill in the mid-spring snow (April 8th, 2003). 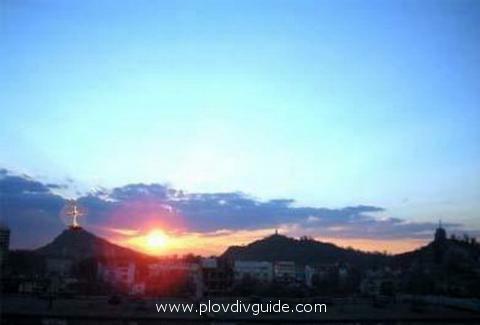 Sunset in Plovdiv - a northwest view towards taxim Tepe hill. 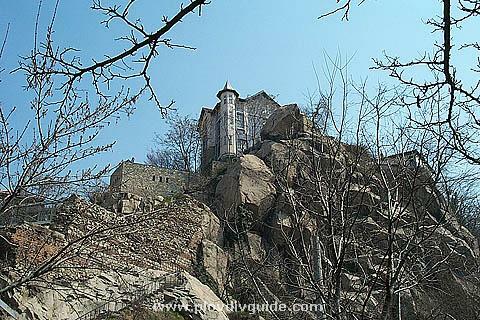 You can recognize the cross and the belfry of the Catholic Church "Saint Ludwig". 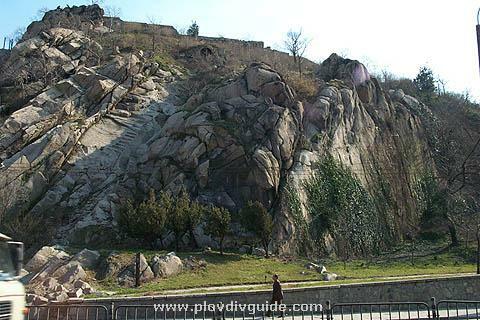 Mountaneering - the Dzhambaz Tepe hill. 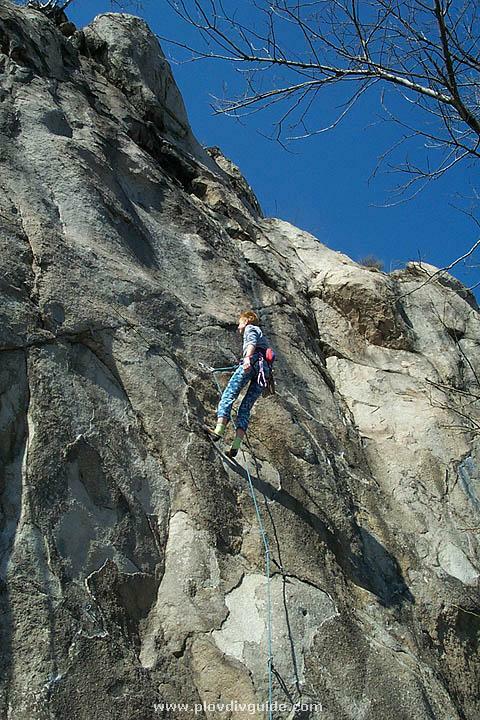 The very name of the hill derives from the Turkish word "dzhambaz", meaning "acrobat" - referring to the climbers trying to get to the top of the highest of the Three Hills (the Trimontium). 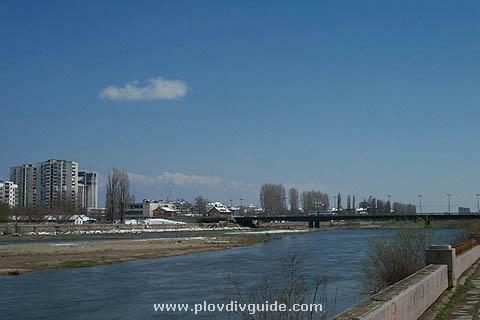 The Maritsa River in mid-spring snow (April 2003). 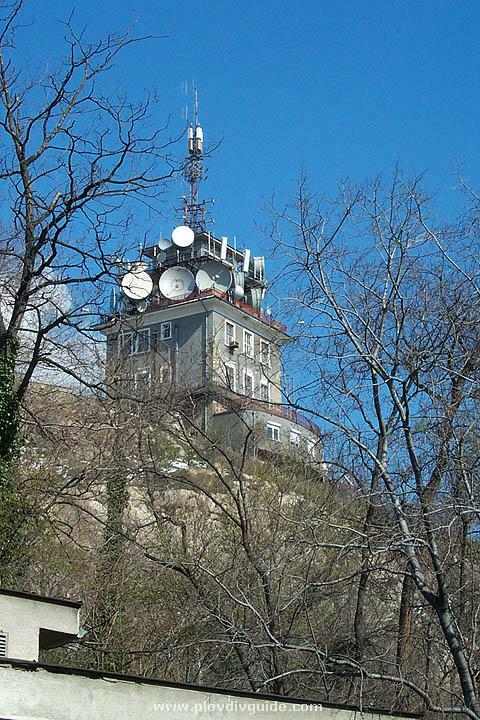 The Radio&TV tower on the Sahat Tepe. 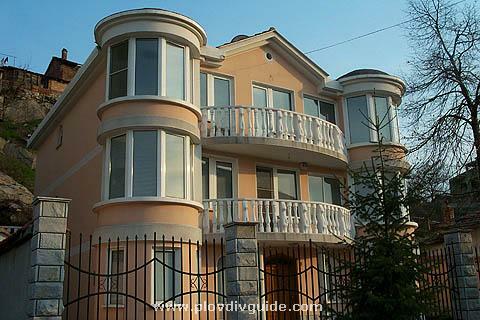 A beautiful cobbled street - "Todor Kableshkov" Street. 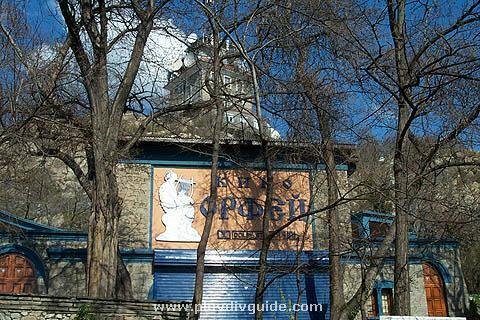 The "Orpheus" open-air cinema on the Sahat Tepe hill. 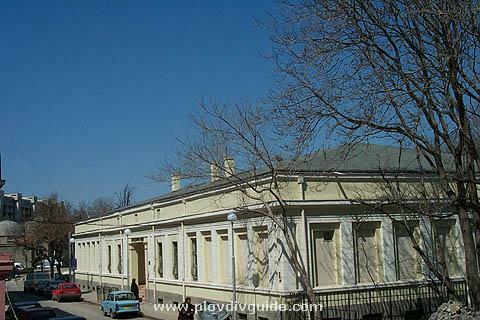 The Museum of Natural Science - founded in 1894, as the natural-science collection of the newly-founded French College in Plovdiv. In 1952, the City Council decides to open a Museum of Natural Science, based on the College collection fund. 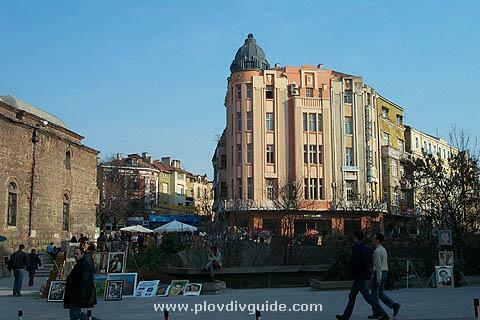 The Museum was housed in the former building of the Plovdiv Municipality, built in 1880. 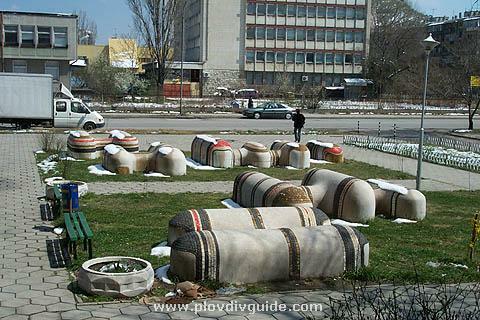 Today the Museum exhibits more than 48 000 items. The Old Town part embraces the new buildings, featuring the same architecture style as the ones standing here for more than two centuries. That photo shows the eastern slope of the Nebet Tepe hill. 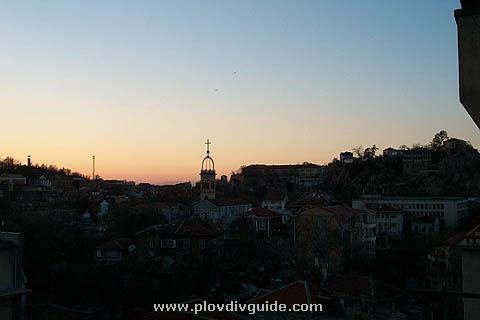 Whether youre a photographer, a landscape artist, or just a romantic person, Plovdivs famous seven hills are great spots of inspiration.Many of our favourite photos are views taken from the heights of the Plovdiv Hills - and were sharing the best of them with you in this gallery. The Maritsa RiverThe Maritsa River in mid-spring snow (April 2004). 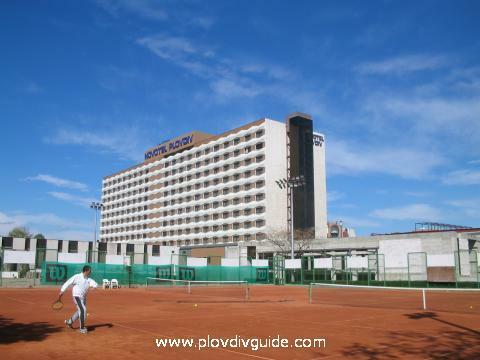 The Novotel Plovdiv Hotel is the most popular and the most luxurious five- star hotel in Plovdiv , situated close to the commercial and business center of Plovdiv , only 350 meters away from the Plovdiv International Fair Grounds. 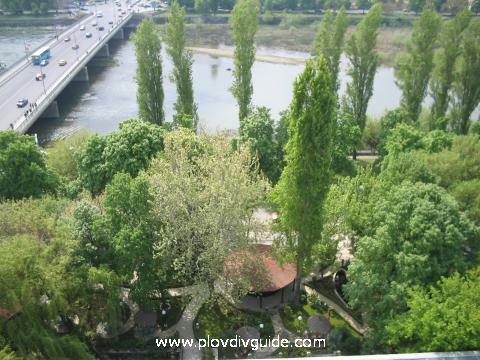 The Maritsa River - from a bird's eye view. 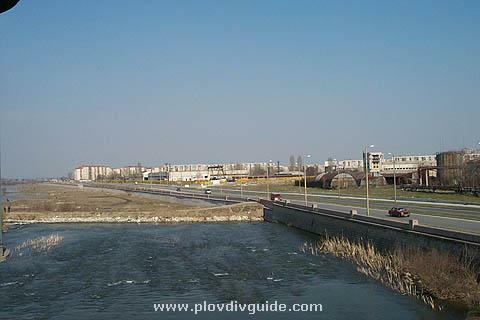 The Maritsa River - the building of the covered bridge. 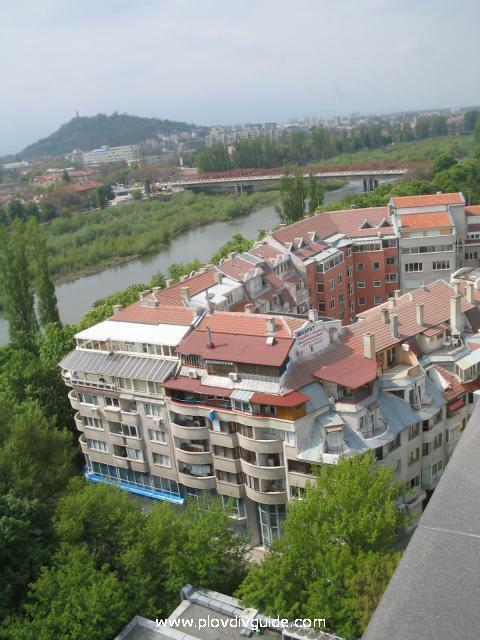 The Maritsa River and hotel "Maritsa"
A wonderful photo, taken from a military helicopter! 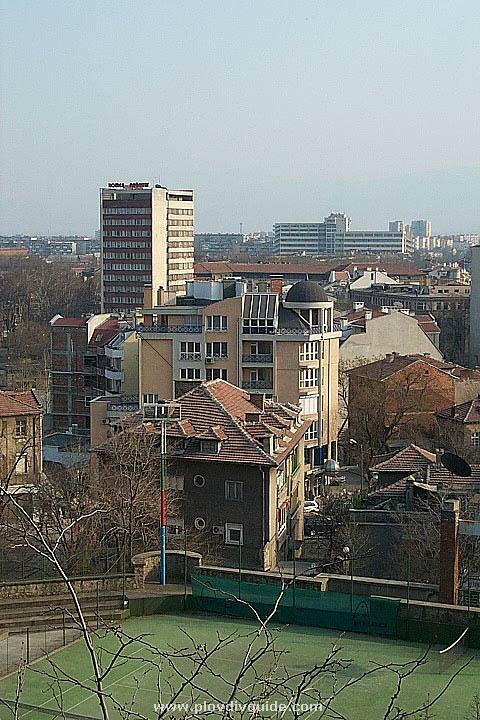 You have the pleasure to enjoy it by the courtesy of Georgi Zdravkov, who sent the photo to us so everyone could enjoy the beauty of our city... Thank you, Georgi, and thanks to your friends father - the pilot who took that magnificent photograph! This is only a project!